Sometimes, in life, and in running, we come full circle. We not only often run in circles, whether around a track or loop course, but we often see themes and experiences circle back around in beautiful and even mysterious ways. In March I had such an experience, as I competed in a pioneering Obstacle Course Racing (OCR) event in Puerto Rico. The island commonwealth, only 6 months clear of the devastation of Hurricane Maria, also happens to be one of the islands of my heritage (my grandmother was born less than 20km from the race location of Hormigueros). The race, OCR Beast Enduro, was put on by a local organization (OCR Beast Challenge) that hosted an Obstacle Course Racing World Championship (OCRWC) qualifying race a couple of weeks after my race. In other words, this organization understands OCRs and strives for excellence in their events. 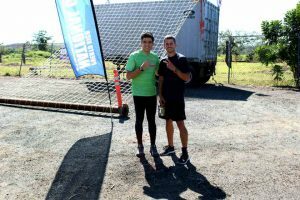 The format of the race was quite unique: partners take turns running a 5km OCR course with some unique obstacles for 4 hours. Whichever team covered the most ground during the 4 hours wins. 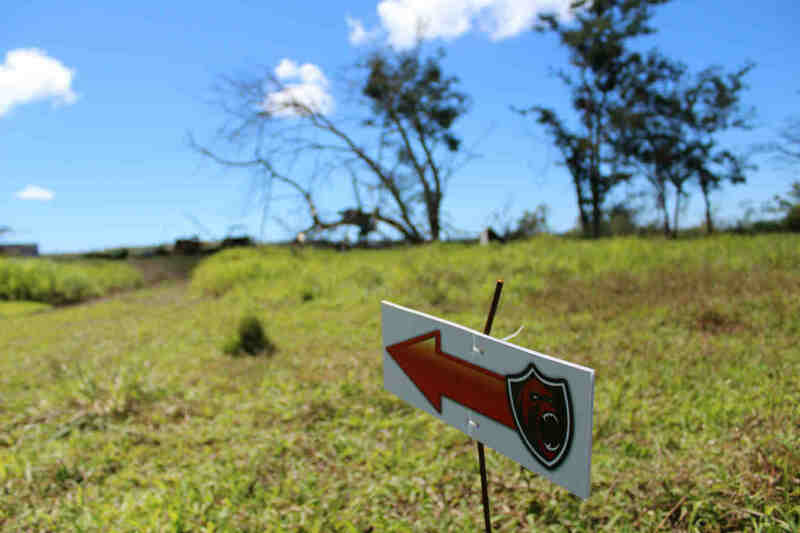 With this format, this race was the first true endurance OCR events in the history of the island, which everyone was thrilled about. 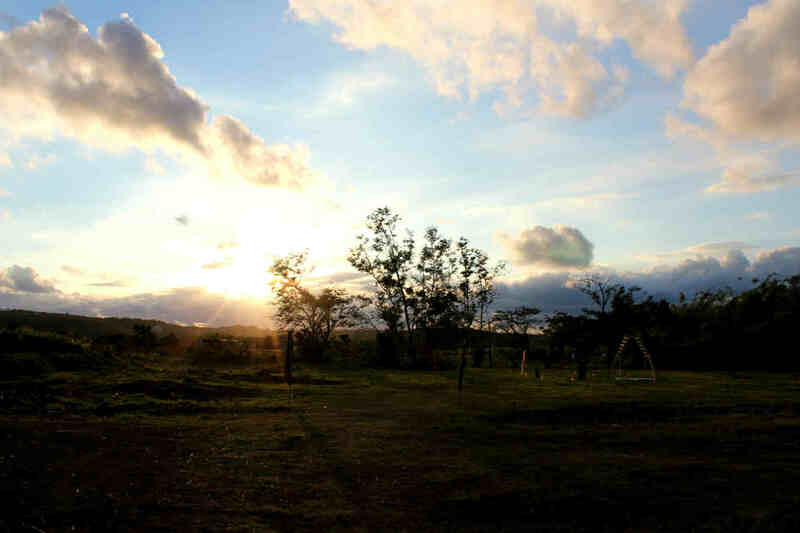 The course was mainly flat, situated on a scenic farm property in a hot valley, and featured obstacles such as Stairway to Heaven, a good rig, a rather long atlas ball carry, sandbag carry, mud crawl under netting, under over walls, rope climb, river wading, cargo net climb over a tractor trailer, and more. Even with these obstacles, the race also featured long stretches of flat trail running, which was always going to suit my strengths as a runner. 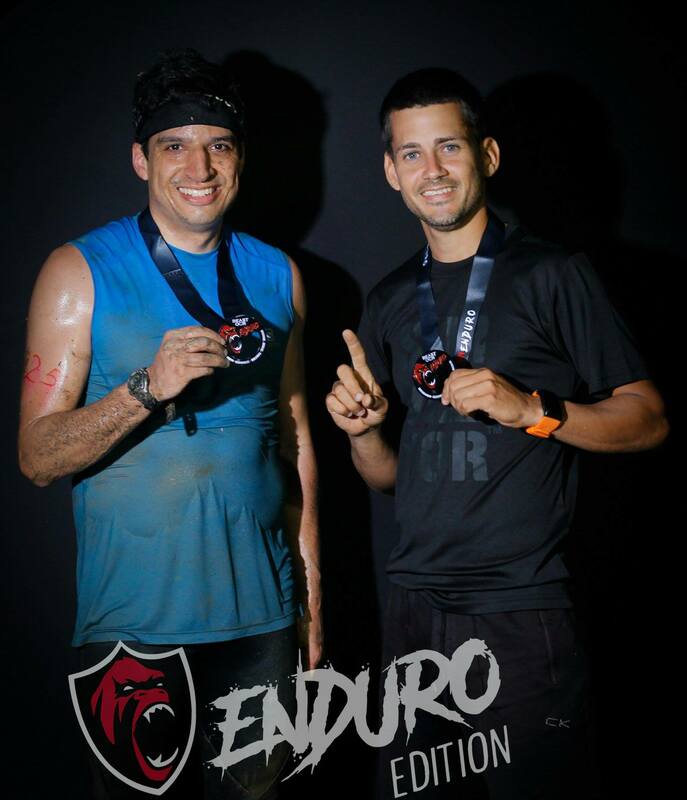 Originally I was partnered with one of my OCRWC 2017 teammates, Luis. But, with the backdrop of the hurricane ever present, Luis, who works in the Puerto Rican hydroelectric industry, had to cancel the race to attend to some emergencies in electrical grid. Thankfully, Luis’ wife (another OCRWC teammate and local coach) Johana found another partner for me on the day of the race, Denis. Denis had qualified for OCRWC in 2017, but the damage of the hurricane prevented him from travelling to the race in Canada (OCRWC took place less than three weeks after Maria ravaged the island). Denis, entering OCR Beast Enduro on a whim, proved more than ample as a partner, as he blazed through the first leg of the race in hot pursuit of the other elite Puerto Rican athletes in the race. He handed off the timing chip to me, and I tackled the course in some of the hottest conditions I’d ever raced in (a bit of a shock as I’d just come from still-wintry conditions in Canada). Despite my personal and familial history in Puerto Rico, this was actually the first time I’d ever raced there in any event, so it was a thrill to be competing on my island. For me, the first lap was about figuring out the course and obstacles, while dealing with the intense heat, and I was able to successfully pass the chip to Denis, though noticeably slower than my younger and fitter teammate. Denis quickly made his way through the course again, and as the sun began to lower over the fields and trails, handed me the chip. With the conditions cooler, and with the course layout fresh on my mind, I was able to run harder and anticipate where the obstacles were. Now, as a brief sidebar, note this: despite running in several Spartan Races, and two OCRWC’s (2016-2017), I’d actually never successfully completed a rope climb in a race. A terrible admission for an OCR racer, but, having only taken up the sport as a pure runner less than two years before, I was still building my strength and learning technique, and the placement of the rope climb never seemed to gel well with my penchant for going out too hard in OCR races. Well, to come full circle, on my second loop, with the encouragement of some playfully sarcastic volunteers, I successfully completed the rope climb in this race, digging deep and not wanting to incur too many penalties for my partner. It was a triumphant moment for me, a personal victory, but I couldn’t celebrate too long, as the race was about halfway done time-wise. I completed my second circuit, again handing off the chip to the eager Denis who busted out another strong lap. By the time he returned, the sun was peaking out over the horizon, gently blanketing the course with a golden haze as it completed its own circuit for the day. I took off in the now comparatively cool conditions, running fast (knowing that my finish time would likely get us close to the 4 hour limit). I felt awesome, despite having completed two laps already, and was plowing through the obstacles knowing I didn’t have to save energy for future laps. In a sense this was another circle: I’d only by ‘accident’ stumbled upon OCRWC and the Puerto Rican team after trying a Spartan Race for fun the year before. 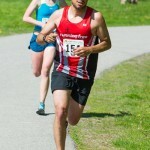 I qualified for the world championships, quite surprisingly, by just running the race for fun, and found myself invited to Team Puerto Rico once the team members learned about my heritage and deep connection to the island and people. That year (2016), I was by far the slowest competitor on the team, but the teammates still treated me as a full team member with respect and warmth.In the 2017 version of OCRWC, I again represented Puerto Rico, but did not run as strongly as I’d like in the main race. I felt I needed to prove myself and represent Puerto Rico as strongly as many of my teammates did. I think I redeemed myself in the Team Relay the next day with a strong run in the ‘Speed’ portion of the race, but I honestly still felt like ‘a runner who dabbles in OCR’. Knowing that Denis was counting on me to finish strong, and yet easily one of the top 5 oldest competitors in the race, I wanted to show that I belonged on the course with these fantastic fellow Puerto Rican athletes. So, during that last lap of OCR Beast Enduro, as the sun set and the coqui frogs sang to us, I flew through the course aggressively and quickly, at a speed that maybe even approached Denis’. However, the darkness comes quickly in Puerto Rico after the sun sets, and once the sun completed its circuit over the island, I was plunged into truly nighttime conditions (without a headlamp). The darkness slowed me down over the last kilometer or so of the course, as I navigated the sometimes tricky terrain and obstacles, but, nevertheless, I was proud with how I ran on that third and final lap. I approached the exchange area and Denis joined me to cross the finish line together. After completing 3 laps each, we were rewarded with a 15th place out of 28 teams. This perhaps doesn’t sound like a very strong result, but I can humbly say we both ran well…It’s just that the competitors who showed up at OCR Beast Enduro were UNREAL! Puerto Rico is QUICKLY becoming a hotspot for OCR, and the athletes who competed for the race showed off their strength, speed, ability and endurance all day long. The unique race format and course design meant that we could see various competitors racing throughout the day while we competed ourselves. I could marvel at Puerto Rico’s top male and female runners flying through the course while grinding through my own race. The island’s athletes had come full circle since the hurricane, competing fiercely and freely with the confidence of knowing that they can overcome intense obstacles of all kinds. OCR Beast Enduro was a fantastic experience: excellently organized, super fun, incredibly competitive, beautiful, challenging, and even inspirational. Here I was, a relative ‘viejito’ (“little old man”) competing so proudly in my grandmother’s general area, with the wide-eyed wonder of a relative rookie in a challenging sport, amongst the best in a competitive country. Quite a mysterious and beautiful circle, indeed. Thank you Brent for this amazing review. Humbled beyond words. I hope we’ll see you soon!